EURHONET members work on any issue related to the stakes of European public and social housing providers, but at the end of the day it is all about housing people by meeting our tenants’ needs in the best possible way! Sharing knowledge, developing new solutions and exchanging good practices on the way we work on a daily basis are some important steps to help our members improving their performance. Sharing knowledge – by exchanging ideas and benchmarking between members thanks to the work of our Topic Groups. Corporate Social Responsibility is about managing our business in an ethical and responsible manner. We are working to maximize the positive impact housing companies have on local communities, the society and the surrounding environment. We are helping our members by sharing good practice and provide them with tools to improve their CSR performance and to report on their impact to their stakeholders in order to reinforce their key role in their respective communities. 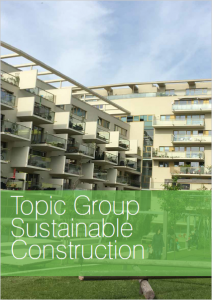 Improving the overall sustainability of social housing buildings taking into account environmental concerns, social issues and economical aspects is one of our key priorities. We share our experience working on both existing building and new construction by developing tools and methodologies to reduce construction, maintenance and running costs while increasing the quality of the building stock for the comfort of our tenants. 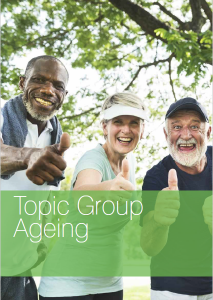 All housing companies across Europe face the challenge of an increasing ageing population: people over 65 represent 17% of the total European population. These leads not only to challenges of a physical nature (accessibility, technical solutions) but also of a social nature (increased isolation of the elderly population leading to negative effects on physical health and mental well-being). The provision of “flexible” and accessible homes which can allow tenants to remain independent has long been at the centre of our work. We work to provide access to decent and affordable housing for all in communities where all are enabled to reach their full potential. 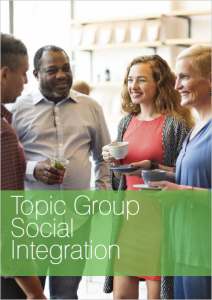 We explore how housing providers can further promote and foster social integration by harnessing their asset platform and network of partnerships to support and assist our most vulnerable residents including migrants and refugees. 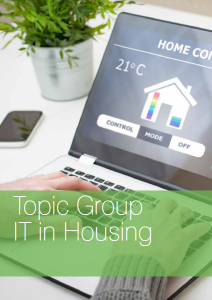 Bringing tenants online by reducing the digital divide and deliver credible 24/7 online services while developing the use of ‘Big Data’ and data from the Internet of Things (IoT) to transform service provision is nowadays a big challenge for housing providers. We are promoting business innovation by developing and sharing good practice in order to deliver business efficiency that supports an inclusive and cohesive digital society for all.